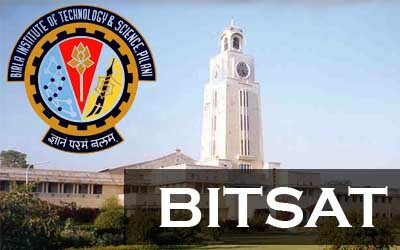 BITSAT or the Birla Institute of Technology and Science Admission Test will be conducted in the month of May, 2016. It is one of the most leading examinations for those who wish to pursue undergraduate programs from top ranking Universities. BITS Pilani holds the authority to conduct the examination, and its branches are spread over Hyderabad, Goa and Dubai. BITSAT will be conducted on a national level in 51 cities of India and Dubai. The number of students appearing for BITSAT is estimated to be 2 lakhs, fighting for 2,000 seats in total. Give time to every topic and revise every topic. Topics like mathematical formulae, organic chemistry reactions should be on your topics. Always start the paper with the easiest section so that proper time is given to the complicated section. Mathematics should be practiced well. It requires usage of brain and hard work. Instead of focusing on the lengthy and tricky questions, try to concentrate on easy questions and cover the simplest part before. Try to attempt 120 questions overall. Out of 120 questions, 20 questions should be from English and logical reasoning, 35 questions should be from Math and Chemistry each, and 30 questions should be from Physics. Practice Online – Indulge in the habit of solving mock question papers online as BITSAT is an online exam. Practice on computer and solve sample papers online. It will increase the speed of solving the Question paper. Past year BITSAT Papers – Candidates should practice with the help of last year’s question paper. By solving old question papers, candidates get familiar with the type of Questions that will be asked. Practice to Revise – Learn to revise whatever you learn. Revising is important because it helps in memorizing the topic. When students have to memorize a lot many topics, revision should be done of each and every topic. Get to know your strengths and weakness – Candidates should acknowledge themselves with the syllabus and then make a list of their weaknesses and strengths. Pay more attention to weak subjects and less attention to strong subjects. Weak subjects should be practiced on regular basis. Time Management – Candidates should follow a strict routine of solving mock question papers, as they will be able to manage time properly and will be able to increase their speed. Give time to separate questions – In the examination of BITSAT, all questions hold some weightage. Mathematics should be given maximum time that is eighty minutes, Chemistry should be given half an hour, English and Logical Reasoning should be given forty minutes and the rest of the time should be given for Physics. BITSAT Sample Papers 2016 will be helpful for candidates during their preparation period as they can practice a lot. Candidates can understand the exam pattern and can judge the level of examination.